The mortgage foreclosure situation is hectic these days. Many Lenders have sold their loans to other companies or packaged them in security “bundles”, the so-called securitization of mortgages. Many of these loans went into default and have been foreclosed and are now “Bank Owned” properties. Naturally banks are anxious to sell off these properties, frequently at a substantial discount, and are attracting new buyers. In order to close quickly on Bank Owned properties without title delays, it has become almost standard practice for selling Lenders to include in their Purchase and Sales Agreements a provision that the Seller will provide the Buyer with a Title Insurance Policy, usually from the company that is currently insuring the Lender. Tempting as it may be to receive “free” title insurance, failure to ensure clear title on your own can be catastrophic. Attorney Lawrence DiNardo routinely works with clients purchasing foreclosed properties and has witnessed a dramatic increase in defective foreclosure sales resulting from offers by Sellers to provide title insurance instead of having the Buyer’s own attorney check the Registry of Deeds to see if the title is actually clear. 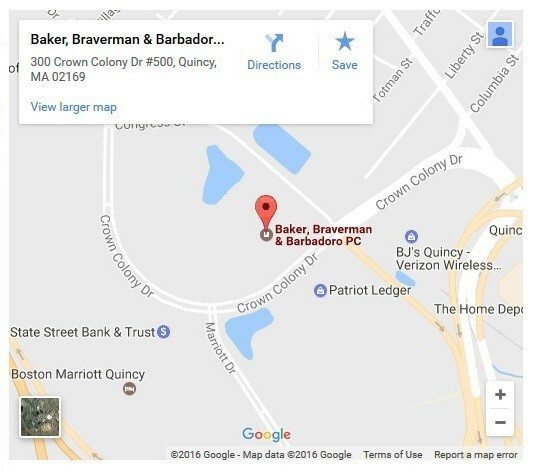 At Baker, Braverman & Barbadoro, we always advise our clients to do their homework. If you are considering the purchase of a Bank Owned property, contact one of our real estate attorneys to discuss your options.